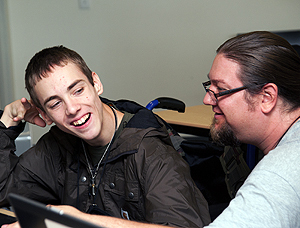 The DO-IT Center (Disabilities, Opportunities, Internetworking, and Technology) engages with institutions and organizations in the United States and other countries to adapt its evidence-based practices to promote the success of people with disabilities in college studies and careers; the development and use of technology for people with disabilities; and the application of universal design of instruction, physical spaces, technology, and services. For example, the DO-IT Scholars program has been replicated in Japan. Hosted by the University of Tokyo, DO-IT Japan conducts a Summer Study session each summer, provides mentoring, and otherwise supports students with disabilities as they pursue college and careers. 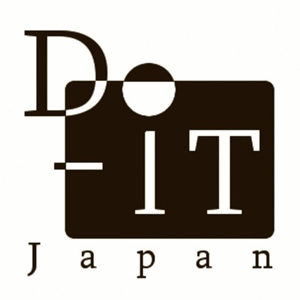 DO-IT Japan encourages high tech companies to develop accessible technology and people with disabilities to use cell phones, computers, and other technology to achieve high levels of participation in education, employment, and community activities. Consult the DO-IT Japan website for further information in Japanese. South Korea, through the leadership of Seoul National University and Korea Nazarene University, also hosts a Summer Study and otherwise collaborates with the DO-IT Center. As part of DO-IT's replication and adaptation efforts, other programs are given permission to translate publication text and video captions to other languages and to adapt wording to make it more culturally relevant to their audiences. In these cases, DO-IT is acknowledged as the original source of content in the new products. Programs that have adapted DO-IT resources are encouraged to contact DO-IT with web addresses of the new products, so that they can be linked from the DO-IT Center website. Individuals and organizations worldwide are encouraged to replicate DO-IT practices. To get started, undertaking activities that support one of the following four DO-IT objectives is encouraged. Materials to support your work are freely available on the DO-IT website, linked from DO-IT Publications, Videos, and Training Materials. They can also be found by using the "Search DO-IT" feature from the DO-IT home page. Objective One: Develop a support program for youth with disabilities that includes residential study on a college campus, in-person and online peer and mentor support, internships and other work-based learning, and access to computers and assistive technology. Creating a Transition Program for Teens: How DO-IT Does It, and How You Can Do It, Too—Guidelines for creating college and career transition programs for teens. Creating an E-Mentoring Community: How DO-IT Does It, and How You Can Do It, Too—Guidelines for creating an electronic mentoring community. Making Math, Science, and Technology Instruction Accessible to Students with Disabilities—Comprehensive materials and resources help science, math, and technology teachers fully include students with disabilities in their classes and labs. Objective Two: Promote the development and use of technology for people with disabilities. Consult the resources listed on the Technology and Universal Design web page. Objective Three: Encourage the practice of universal design of instruction, physical spaces, technology, and services. Universal Design in Education: Principles and Applications—Applications of universal design to educational settings at all levels. Universal Design of Instruction: Definition, Principles, Guidelines, and Examples—Designing instruction to maximize the learning of all students. Equal Access: Universal Design of Student Services—Applying universal design principles to the development of accessible student service units on postsecondary campuses. Equal Access: Universal Design of Physical Spaces—How to make campus facilities and physical spaces accessible to everyone. Objective Four: Employ strategies to promote institutional change. Building Capacity for a Welcoming and Accessible Postsecondary Institution—Sample agendas, videos, handouts, overhead visuals, and resources for conducting Capacity Building Institutes to create welcoming and accessible postsecondary courses and services for students with disabilities. Building the Team: Faculty, Staff, and Students Working Together—Synthesis of research, institutionalization guidelines, presentation tips, tailored presentations, overhead visuals, and handouts help faculty and administrators at postsecondary institutions fully include students with disabilities in courses. Includes video presentations. Students with Disabilities and Campus Services: Building the Team—Synthesis of research, institutionalization guidelines, presentation tips, tailored presentations, overhead visuals, and handouts to help student service staff and administrators make their campus services more accessible to students with disabilities. Includes video presentations. Four primary sources are consulted when selecting and fine-tuning practices and promising interventions to employ through the DO-IT Center. Details and references can be found at Evidence-Based Practices of DO-IT. Literature Review. Project staff use standards of the U.S. Department of Education's Institute of Education Sciences' What Works Clearinghouse (WWC) to assess the rigor of research evidence on the effectiveness of interventions being considered. Unfortunately, the most relevant studies reported in the literature do not have random samples, well-matched control groups, or other characteristics that would result in a high evidence rating by WWC. DO-IT staff also consult reports regarding projects that serve to increase the participation of women and underrepresented minorities in challenging fields in college and careers. For example, DO-IT projects have been significantly influenced by the Louis Stokes Alliances for Minority Participation (LSAMP) Program, which was established in 1991 by the National Science Foundation (NSF) to increase the quality and quantity of racial/ethnic minority students who successfully complete baccalaureate degrees and continue on to graduate studies in Science, Technology, Engineering, and Math (STEM). LSAMP activities, which have been externally evaluated, include interventions in four areas: student-centered precollege development; students centered postsecondary development; faculty-centered training; and institution/department-centered reform. Keys to success for LSAMP projects have been identified to be summer bridge programs, research experiences, mentoring, drop-in centers, caring staff, and alliance structure. Like LSAMP, DO-IT fosters connections within an institution (e.g., between peers, between students and faculty, and involvement in institutionally sponsored activities and events); facilitates connections outside of the institution (e.g., between precollege and postsecondary partners, between community college and university partners, between students and employers, and between colleagues at conferences); is significantly engaged in resource-sharing and co-sponsoring events; and uses "graduates" of previous projects as a rich resource for mentors, speakers, project employees, and volunteers. As was found with successful LSAMP programs, DO-IT has benefited from the many years of accumulated expertise and experiences that staff members bring from other projects funded through DO-IT. Promising practices of LSAMP and other projects are published in the DO-IT Knowledge Base. Other published reports, books, and articles related to the following areas of intervention are included on DO-IT's Research to Practiceweb pages: overall project guidance, college preparation, transition, self-determination; efficacy of comprehensive programs over isolated efforts; broadening participation of students with disabilities in STEM; mentoring, peer support, and learning communities; research experiences, internships, and other work-based learning; and serving veteran students with disabilities. Outcomes of Prior Projects Hosted by DO-IT. Since 1992, DO-IT project research and evaluation findings have added to evidence that supports the implementation of practices employed in new projects. Data sources include staff observations, project records, the ongoingAccessSTEM/AccessComputing/DO-IT Longitudinal Transition Study (ALTS), project reports, and published articles. Results, many published in peer-reviewed journals, add rich detail to the more general strategies reported in the literature. Topics addressed include training faculty, training student service personnel, making websites and distance learning programs accessible to students and instructors with disabilities, serving post-9/11 veterans with disabilities, and collaborating with partners and other stakeholders. As a result of the success of previous work, DO-IT staff look for opportunities to sponsor online and on-site college transition activities to help students transition from high school to college, community college to four-year school, undergraduate to graduate school, college to career, and graduate school to the professoriate. They offer both activities that are short and motivational in nature and workshops that are longer and have significant academic content. 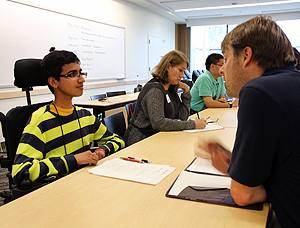 In these activities students with disabilities learn about college and career opportunities; role-play on working with faculty and employers; practice self-advocacy skills; explore options for internships during college studies and jobs and graduate programs after college; meet professionals, including those with disabilities, in fields of interest; interact with peers and mentors; and participate in e-mentoring communities. Project staff also consider previous outcomes to fine-tune work-based learning activities. They offer research and industry internships to secondary and postsecondary students with disabilities and work with each supervisor, career center staff (when appropriate), and student to identify appropriate accommodations. This interaction is designed to both improve the participant's opportunity for success and strengthen institutional and employer capacity to work successfully with individuals with disabilities. Project staff also recruit employers and faculty to offer job shadows, field trips, internships, research experiences, and other work-based activities. Suggestions from Practitioners. Participants in Capacity Building Institutes (CBIs) and online communities of practice hosted by DO-IT, as well as other professional forums, represent a wide variety of stakeholder groups (e.g., educators, academic administrators, technology developers, employers). Many of their perspectives and recommendations, often reported in CBI proceedings, have been considered when selecting DO-IT activities. Input from Students with Disabilities. Many DO-IT project ideas are developed by or reviewed by students with disabilities. For example, an "A Team" of paid interns with disabilities was established in the AccessSTEM project to develop, validate, and implement project activities at partner schools. More informal feedback is provided by members in DO-IT's e-mentoring communities and outreach programs. Copyright © 2012, 2010, University of Washington. Permission is granted to copy these materials for educational, noncommercial purposes provided the source is acknowledged.